456 p., 18,0 x 25,4 cm. 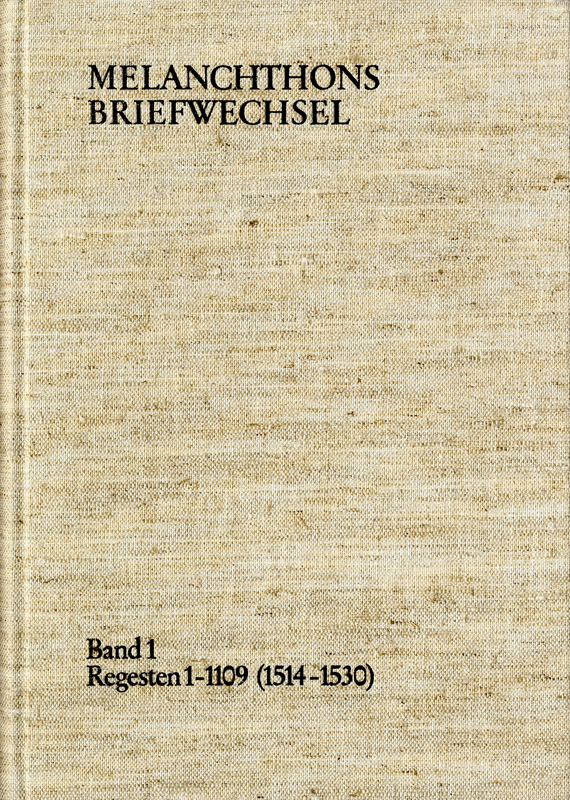 Noteworthy in the regesta for these years are the Wittenberg Movement 1521/22, the first church visitation in 1527/29, Otto von Pack’s conspiracy in 1528, the 2nd Diet of Speyer, the Marburg Colloquy in 1529 as well as the Diet of Augsburg in 1530. Among the correspondents are Reuchlin, Erasmus, Pirckheimer, Luther, Spalatin and Camerarius.